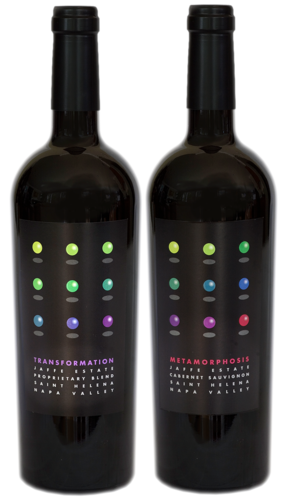 The Celestial Set Wine Club - Jaffe Estate - Napa Valley estate-grown Cabernet Sauvignon, Metamorphosis, and proprietary blend, Transformation. We invite you to join Jaffe Estate Celestial Set Wine Club! Have questions about your Membership or want to learn more about becoming a Member? Call us at 707-967-9146. To secure your placement add to cart and checkout to sign up.